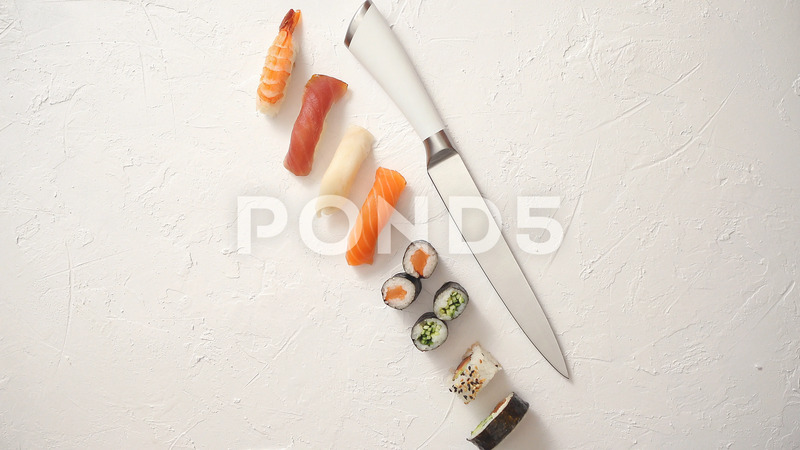 Description: Various sushi rolls with Japanese knife on white stone slate background. With copy space for text. Top view.